Collected in dry sandy ground on and near Lake Huron in St. Clair Co. by C. K. Dodge 1899–1915, but not recorded in Michigan since. 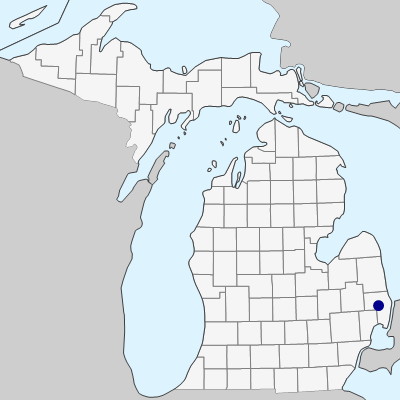 This is a species of plains, dunes, and dry disturbed ground from west-central Indiana, Illinois and Wisconsin westward and southward; the southeastern Michigan (and adjacent Ontario, where still extant) occurrences are quite disjunct. In L. incisum, unlike in L. canescens and L. caroliniense, cleistogamous flowers are produced in the leaf axils later in the season, producing abundant, usually finely pitted, shiny white nutlets. 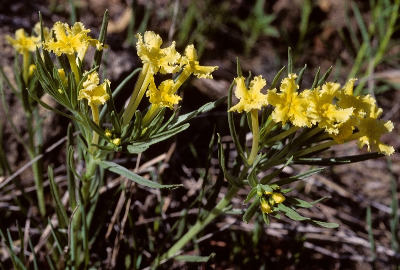 The showy flowers are not heterostylous; the stamens in all flowers are inserted near the summit of the corolla tube. MICHIGAN FLORA ONLINE. A. A. Reznicek, E. G. Voss, & B. S. Walters. February 2011. University of Michigan. Web. April 20, 2019. https://michiganflora.net/species.aspx?id=579.